Considering how adventurous or even fearless dogs can be, there’s a strong likelihood yours will get an injury at least once in their life. 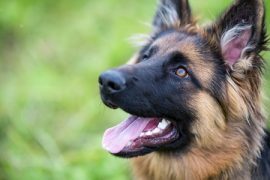 Dogs typically love exploring the world uninhibited, but there are plenty of things out in the world that can be harmful for a dog, so it’s good to prepare for such things when they happen. Seeing your dog injured can be scary, so make sure to contact your vet immediately after the injury occurs. However, there is always the chance of pet owners having to administer first aid, depending on the injury’s severity, before taking a dog to the vet. Either way, here is how pet owners should deal with some of the more common dog injuries. As the likely most common type of medical emergency to affect dogs, major trauma can lead to multiple bodily injuries, both external and internal. Getting struck by a vehicle is a common cause of major trauma in dogs, who often suffer bone fractures, head trauma, organ trauma, joint dislocation, skin wounds, as well as other injuries as a result. Being inside a vehicle during a car accident could also lead to traumatic injuries. Should a dog experience major trauma, pet owners may have to provide first aid before getting their dog to the closest open vet office or emergency vet hospital, with the latter often having the required resources for treating major trauma. When dogs get into fights with each other, both can sustain severe injuries. Normally, dog attacks and dog fights cause soft tissue and skin wounds, both of which can range between minor and severe. Dog teeth cause skin lacerations and puncture wounds, with deep wounds possibly affecting underlying tissue, such as the body wall, muscle, or even bones. Dog bites can happen to any body part, such as to the neck, head, chest, abdomen, limbs, and more. Small dogs especially can have more severe injuries if attacked by larger dogs, including neurological or internal injuries. For dogs with bite wounds, bring them to a vet immediately—dogs have many mouth bacteria, meaning bite wounds nearly always get infected. As well, a bite wound’s traumatized tissue can be treated more easily within the first hour post-injury. Waiting longer means wound treatment might become complicated as the wound starts healing improperly. Active dogs are more prone than others to getting a few scrapes and cuts whether from running into nails or stepping on sharp rocks, glass, or metal, with such material sometimes getting embedded between toes or in paw pads. If dogs are bleeding anywhere on the body, they should be taken to a vet for a cleaning to flush out bacteria and debris. Stitches could be necessary as well if the wound is big enough or even surgery if the material is deep into the wound. At least, dogs need antibiotics and even Manuka honey to avoid infection, and your vet may even prescribe anti-inflammatories for swelling and pain.